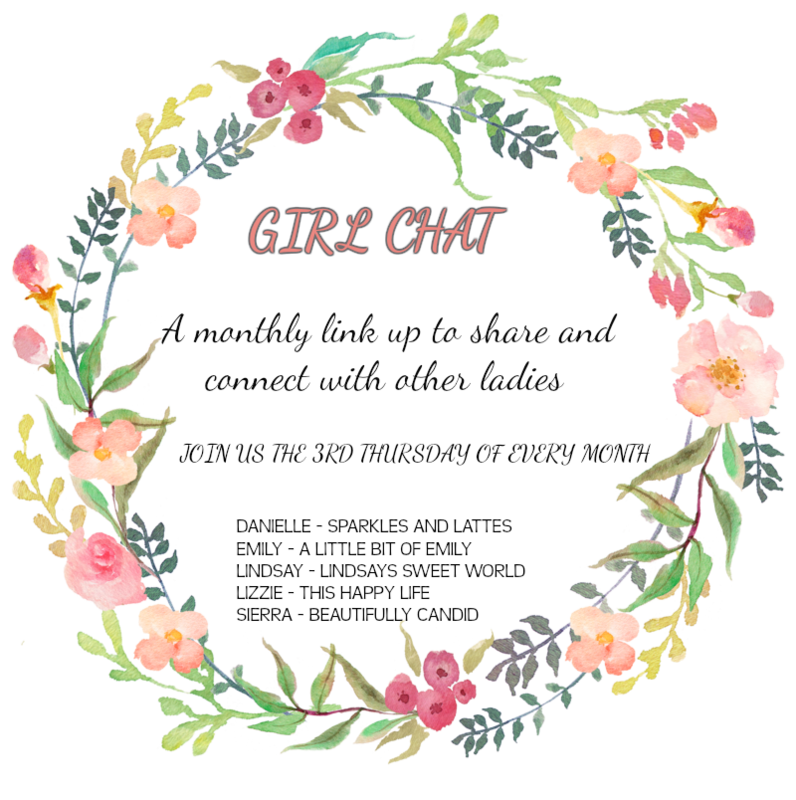 It's time for our monthly Girl Chat link up. 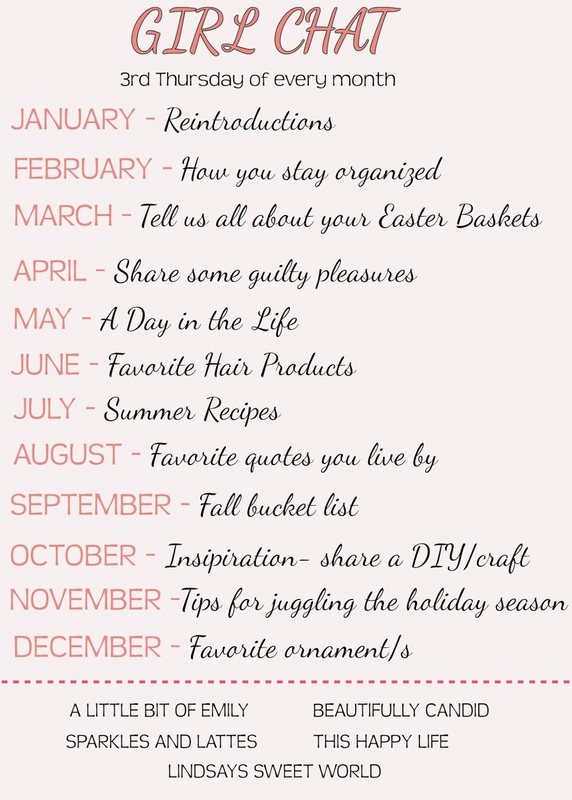 This month's theme is Tell us about your Easter baskets. The girls Easter baskets are not anything special. I have thought about getting a custom basket with their names, but I figured I would do that when they get a little older. I bought their baskets at Target for their first Easter (two years ago). Now for what is inside. 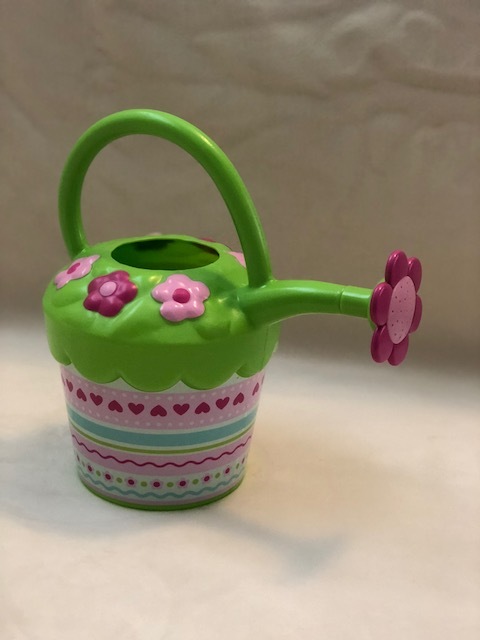 Melissa and Doug Watering Can. The girls love helping Rory water plants and garden. Now they can water plants with their own watering can. 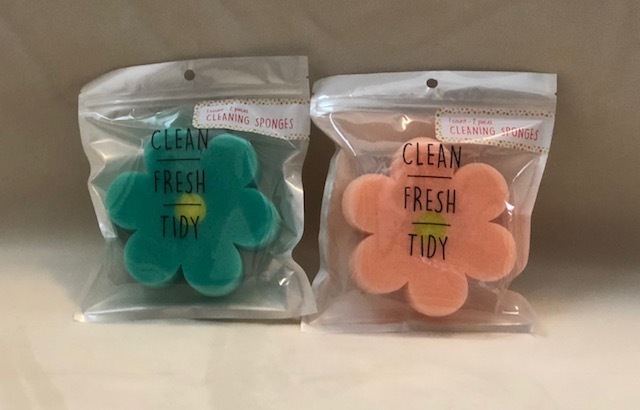 I picked up the cutest flower sponges from the Target dollar spot, so the girls can help "clean" things. 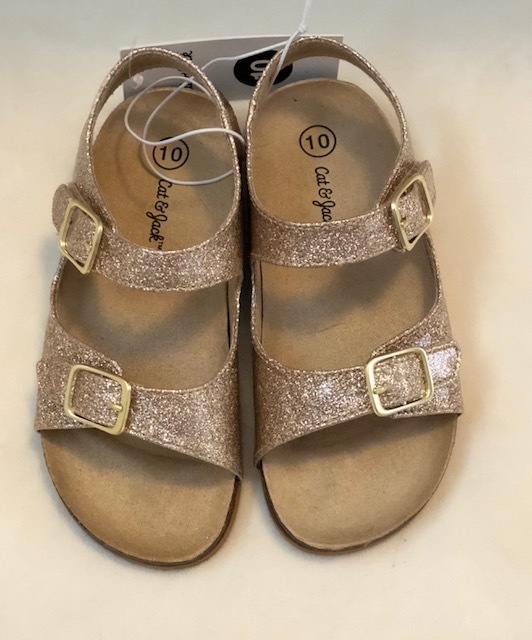 Gold Sandals and Criss Cross Sandals. It is no secret that the girls love shoes, especially sandals. They still squeeze their feet into size 7 sandals from last year. I tried to throw them out, but it was a huge no go. Screaming and crying ensued. I hope once they get these sandals, they will throw the old ones out. Or I can sneakily throw them out. Sally Hansen Nail Polish. Now I know this is sort of controversial about giving my girls nail polish because chemicals, etc., but the girls love getting their nails painted. That started at my parents house and now they ask for me to paint their nails all the time. I searched for some kid nail polish but all of them were either crappy or didn't last longer than a day. I don't have time to paint my kids nails daily. 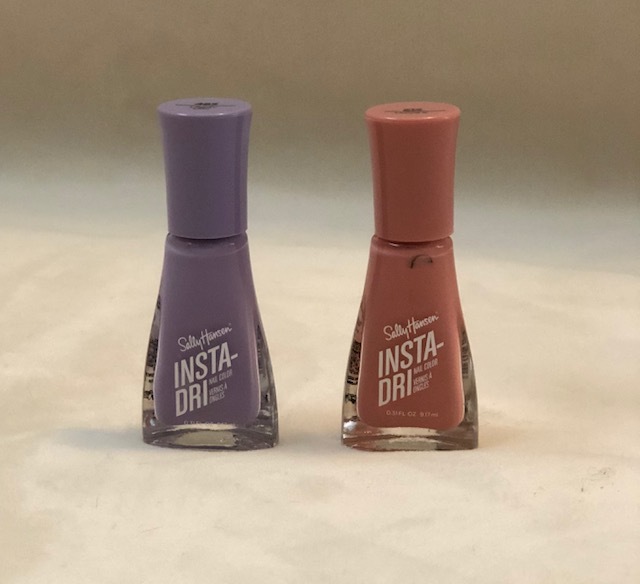 So I got them an adult instant dry nail polish. I only ever paint one coat on and I always take it off of them. If you have recommendations of nail polish for kids, send them my way. 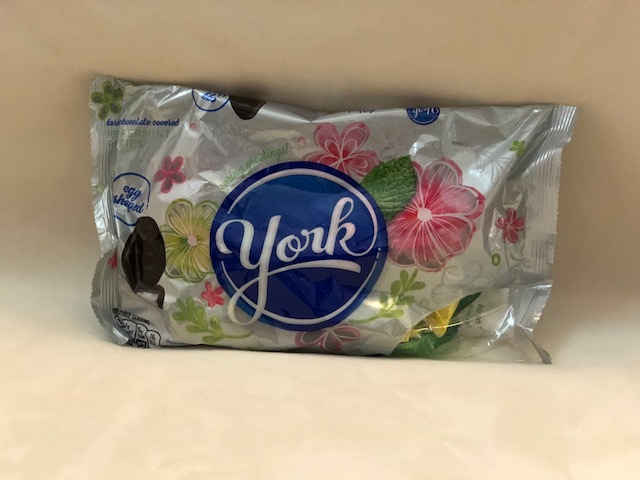 York Peppermint Patty Eggs. My girls have found a love for chocolate, especially york peppermint patties. I blame that on Rory as it is his favorite. I bought an 11 oz. bag for Easter and plan to put a couple off the eggs in their basket. Not pictured (they are supposed to arrive on Wednesday or Thursday night). Puffy Stickers (Unicorns and Animals). My girls are like most kids in that they love stickers. They get them in books or as gifts and put them everywhere. For Valentine's Day, my MIL got them some donut and ice cream puffy stickers and those have been a huge hit. Plus they are reusable and come off easily (no damage to their dresser, kitchen, baby dolls, etc. Yes they put their stickers on their babies). So I decided to get them some for Easter, but then couldn't find them at Target. So I bought them on amazon. If Animals Kissed Goodnight book and The Little Gardener book. The girls are obsessed with reading books. We are often reading the same books over and over (their current favorites), so I am always adding new books to their collection, so we can change it up a bit. We got them a gardener book since they love working out in the yard with Rory and a goodnight kiss book. Both got great reviews and seem so adorable. So what is in your Easter baskets this year? Ooo love the puffy stickers idea! My kids all love stickers but Avery needs some that are easier to peel off and those will work! And OMG those shoes! Seriously SO CUTE! I want them for my girls!! Those stickers look so fun! I would have been all over them as a kid! My girls are really into stickers right now. Mm...love peppermint patties! 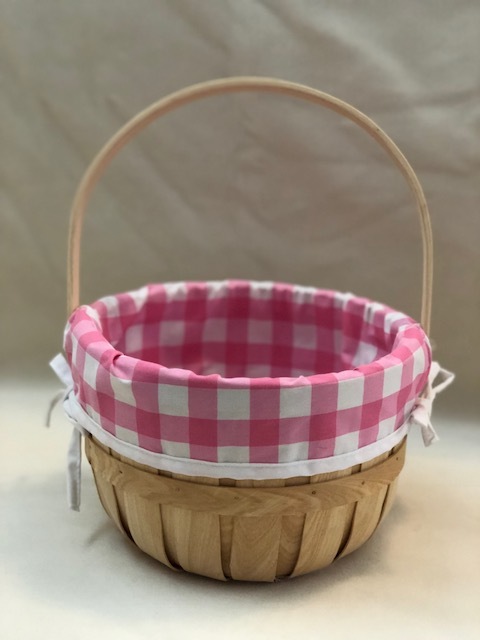 What fun items for the girl's baskets. I think it's fine to let kids wear nail polish, but I have heard that Piggy Paint is good! I don't know if you can only get them online or not though. I was going to get Piggy Paint, but they come off within a day and that means I have to paint them all the time. Ugh. E loves nail polish too and we just use mine because of all the girl things she loves this so I indulge. Those goodies are adorable! Carrington LOVES her watering can! The only kid nail polish I've gotten is Piggie Paint, which is cute, but it definitely doesn't last like adult nail polish does. Oh my how cute and simple. I love it! I think I may steal the nail polish idea! Their baskets are so cute! I love the watering can! They are going to love their goodies. Oh their baskets are so cute. I love the stickers!! Those sandals are precious! We didn't see those when we were there the other day! Aw so cute! I saw those flower sponges at target and now I need to pick some up for my nieces! 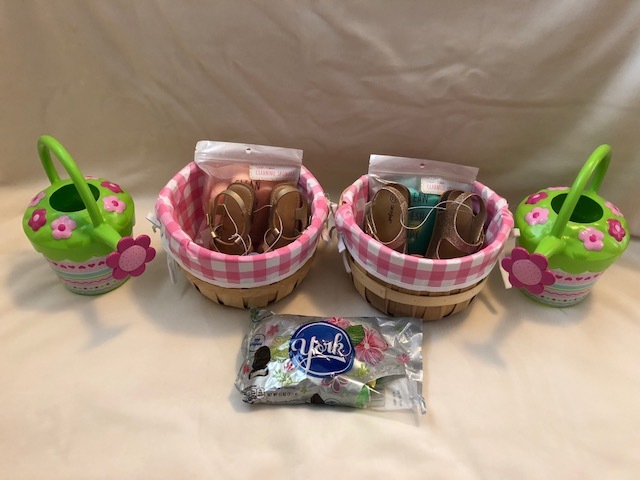 What fun baskets! I love the sandals you picked out! I am going to have to check out those puffy stickers, they are so cute. I have some spring/summer clothes and two pairs of shoes set aside for Zoe so far. I will probably add in a few outdoor type toys since the weather will be getting warmer soon. The girls are going to love the puffy stickers. They are so cute in person. 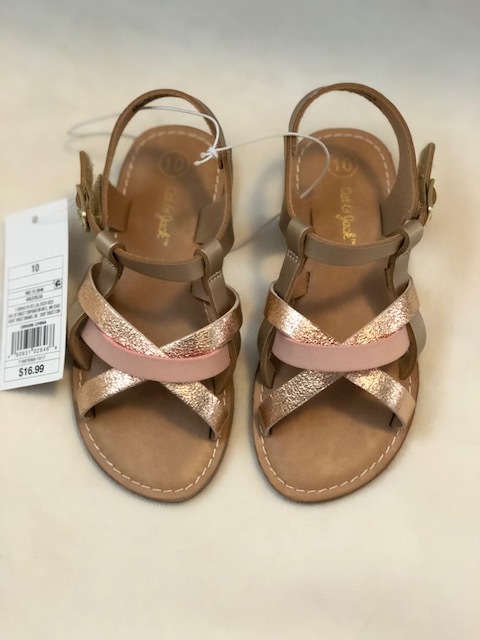 I love the sandals we got for the girls and hopefully I can purge the old ones. I picked up everything for E's Easter basket today. She is getting a few small toys, stuffed animal, 2 books, and a small chocolate bunny. The simpler the better. Is it acceptable for adults to use that watering can as well? :P Such fun easter baskets, mama! Haha I think it is. They are so cute, right? !